FoBAB 2018 kicks off November 16-17 at UIC Forum (725 W Roosevelt Rd.) in Chicago. More than 200 craft breweries from across the United States will showcase over 400 of their rarest, most innovative wood and barrel-aged brews, each of which has been aged in a wooden barrel or in contact with wood. 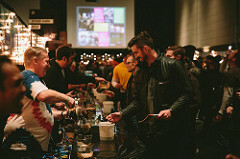 FoBAB is nationally recognized for its unique and inventive barrel-aged beer, cider, and mead. 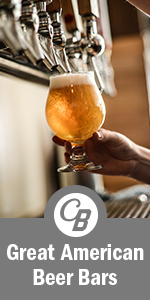 Tickets are $85 each and include a complimentary glass, a FoBAB booklet, and 20 samples. Session #1: Friday Nov. 16 | 6:00 – 10:00 p.m. Session #3: Saturday Nov. 17 | 6:00 – 10:00 p.m.
Tickets are $85 plus payment processing fees through Universe. Each transaction is allowed up to four (4) tickets. All sales are final. Tickets are transferable for General Admission sales. No refunds are available.